Offering you a complete choice of products which include ocean series 1043d full auto potentiometric titrator. Full auto potentiometric titrator meets the demand of mult complex liquid inlet automatically. There is no need to add solution manually. With the most secure built-in burette, to avoid contact with harmful chemicals which protect user security; Cloud services , connect via the Ethernet port ,to achieve the sharing between the instrument and Hanon huge database. 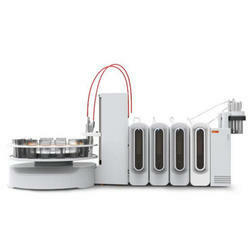 Lead the laboratory instruments to Cloud generation. RS232/USB port, with networked CAN bus communication functions. Looking for Ocean Series Automatic Potentiometric Titrator ?